The development of EU enlargement has raised many thorny issues unanticipated by the framers of the EC Treaty. A significant upshot of these issues is that the concept of European identity – defined in terms of such factors as culture, history and economics – has supplanted the long-dominant theme of ‘widening and deepening,’ particularly since the Union’s expansion has become primarily eastward. EC law as part of European identity. 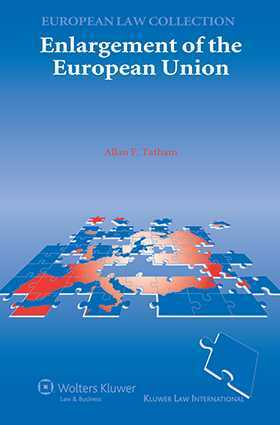 A watershed in the continuing great debate on the fulfilment of the EC Treaty’s determination to foster and promote ‘an ever closer union of the peoples of Europe,’ this book will prove invaluable to anybody interested in the European integration project, particularly lawyers, academics, officials and policymakers in the EU Member States. Preface. 1. Introduction: The Context of Enlargement. 2. The First Wave of Enlargement. 3. Southern Enlargement. 4. The GDR and Another EFTA Enlargement. 5. Central and Eastern European Enlargements. 6. Further Mediterranean Enlargements. 7. Western Balkans and EFTA. 8. Conditionality. 9. The Procedure of Accession to the European Union. 10. Financial, Technical and Legal Support for the CEECs. 11. Financial, Technical and Legal Support for the Mediterranean and Western Balkan States. 12. Legal Harmonization and the Acquis Communitaire. 13. Administrative Capacity. 14. Judicial Capacity. 15. The Effect of Enlargement on EU Institutions. 16. Institutional Requirements upon the Candidate Countries. 17. Conclusion: The Future of Enlargement. Index.